Arcadia Consulting - Semper fidelis! TRAINING AND COACHING WITHOUT COMMITMENT AND INVOLVEMENT MEAN NOTHING! Training and Practice without commitment and involvement mean nothing! "You can have a solid and long term recommendation only if you provide high quality programs, commitment and respect; besides, you have to show your clients the link between theory, practical instruments and reality. A permanent rising of our services quality is our business philosophy." 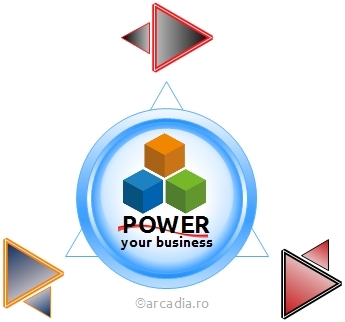 Our training programs, developed and customized by Arcadia Consulting, cover a wide PROJECT MANAGEMENT, BUSINESS ANALYSIS and LEAN SIX SIGMA competences. In addition, the main training area also includes high ranking of certification. We can run the projects in a "waterfall" PM way or be more flexible, in an "agile" way, but more important than this, we MUST have a WAY. That's why, everyone involved in a project should learn how to do it in an efficient manner, by learning PROJECT MANAGEMENT. Looking through the "business eyes", BUSINESS ANALYSIS is the missing link between the project and its business clients. In this context, the business analyst is entirely responsible for finding the optimal solution to the client problem or necessity. 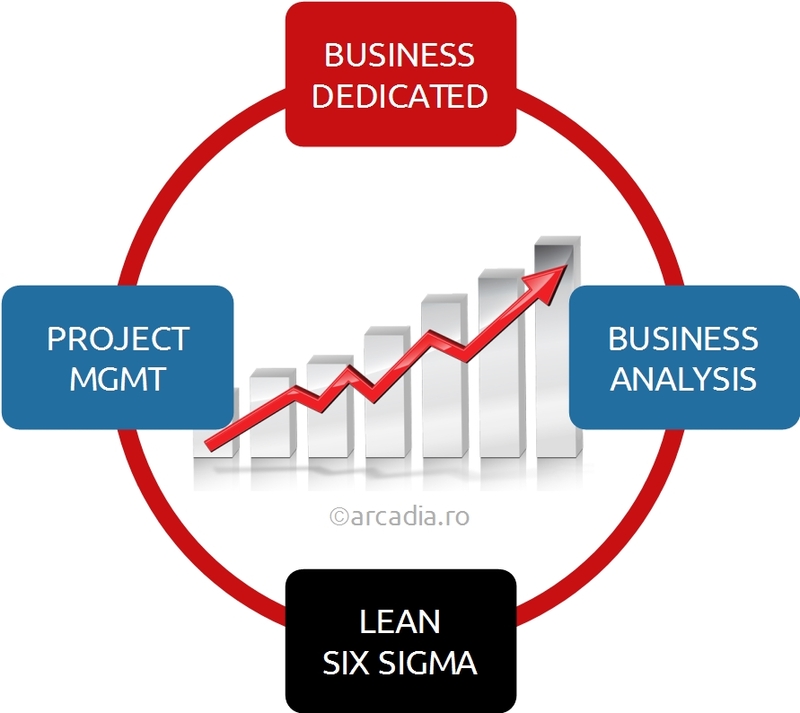 Finding LEAN SIX SIGMA as a unique and logical merge between the faster "LEAN Management" which reduce the waste and increase the speed in providing products and services to the client, and the defects and variation tough killer, "SIX SIGMA", is the best you can do for raising your company. Whenever the business invests in the people skills development, it's a great investment; just the results will be visible, in terms of a business impact, after a medium-long time. The business should wait the employee to practice, to learn from positive and negative experiences, should empower the field force with all the necessary courage and mentality and should invest in CONSULTANCY as well.